On request, we can supply according to client requirement. - It has Two Grain Types quality MM01 & BB01. 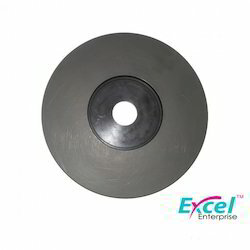 - MM01 Quality is used for small & crystal type of Stone and Medium Grain Size. - BB01 Quality is used for Biggest size Stone , Table & Rough Blocking . - Outside Diameter 320mm & 330mm (Optional). · Dailet Jumbo Scaife has Material - EN-31. · Diameter of the Scaife is 330 & 340 mm. 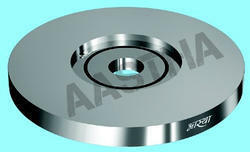 We are providing Diamond Scaife Polishing Saran Jumbo with Spindle. We are exporter of Diamond Scaife. These are highly demanded in the industry.